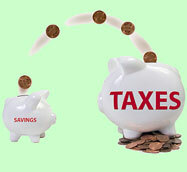 Welcome to CTP taxation services Ltd, a small, friendly practice in South Shields. With qualified staff we can help with your tax, accounting and payroll needs. An initial meeting is given free without any obligation. We look at each person and business individually to establish their goals to advise them of the best tax planning strategy, to minimise the income tax liability, capital gains tax and Inheritance tax for the person or family as a whole. To get in touch please use our CONTACT PAGE.